Want to help? Raise bugs, request features or contribute code on GitHub or donate via PayPal. Capture tracking beacons for Traditional and Universal Analytics properties while you browse. Beacons are automatically grouped by page context, making it easy to identify how tracked events relate to each other. Google Analytics supports multiple trackers on a single website, allowing specific metrics to be captured into different accounts. 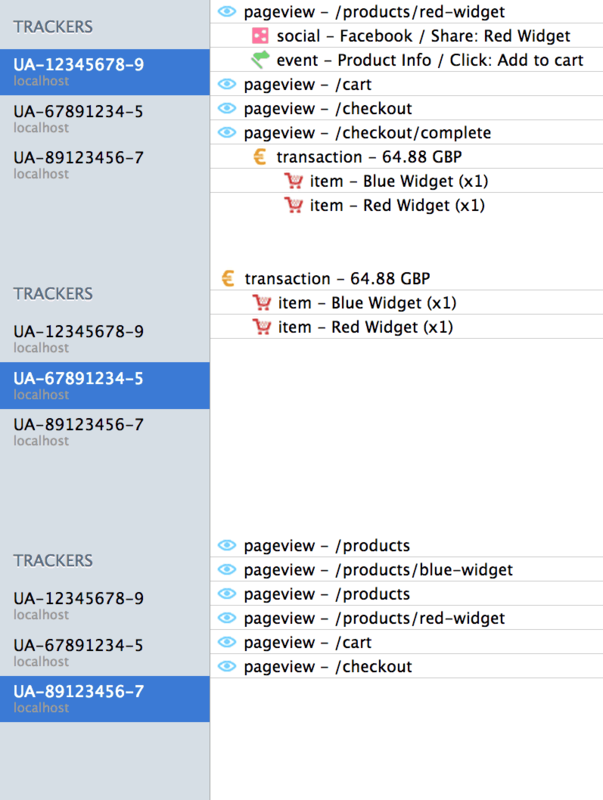 GA Debugger will capture beacons sent from every tracker on a page, grouping them together for easy navigation and interrogation. Google Analytics Debugger is a Keith Clark project.